From the past six years, Mayank has been working on molding data into data solution offerings, first as an engineer in a Telecom product giant and then as a data scientist with ZS. At ZS, Mayank currently focuses on patient centricity and forecasting applications, which involve leveraging longitudinal data analysis and modeling to inform future decisions. Mayank graduated with honors in engineering from Fr. Conceicao Rodrigues College of Engineering, University of Mumbai and also holds a master’s degree in machine learning & enterprise business analytics from National University of Singapore. 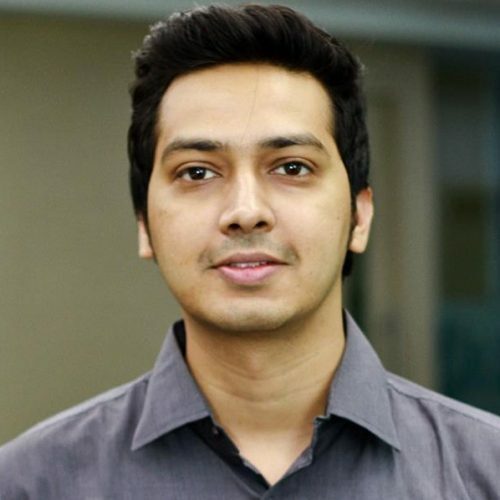 He is also associated as a machine learning faculty with multiple education startups. Forecasting comprises of short-term and long-term plans and is critical for success of any business as it helps to maneuver future uncertainty. Short-term forecasting is used across industries to respond to their supply and demand planning needs. The short-term forecasting is critical as it ensures accuracy to minimize uncertainties and be agile to adapt to unforeseen situations. As the performance of forecasting methods strongly depends on multiple factors such as domain, frequency, length, characteristics and horizon, they make efficient short-term forecasting a challenging problem. In this workshop, we will cover framework and examples for driverless forecasting which aims to achieve accuracy and agility by using statistics and machine learning theory in practice.